Maxìmo Josè Garcìa is a member of the opposition Cuban Liberal Movement, which fights for peaceful regime change in Cuba. 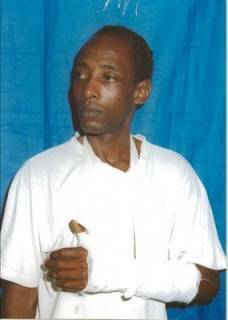 He has several times been attacked by the state security and one of these times he was even beaten up. The following interview has been translated from Spanish. 1) Hi, Maximo. First of all ,thanks for allowing me this interview. Thank you for worrying about the situation many in this part of the world live under. Especially, the Cuban situation. Cuba's people has been suffering for the last 47 years under Castro-communism, which turned Cuba into one of the poorest countries in the world. 2) When did you join the opposition? Tell us when and why. It was when I decided to expose the lies of the political police about the inundation of the 13th of March raft. The tragedy took place on July 13, 2004; it was an horrific crime , in which some 41 people died , among which were 10 children. I work as ship's engineer. I had helped build the wooden raft. After the tragedy, the political police came at the place where I work and told us that the incident was caused by the way the boat was built. I did not buy this lie and I started telling the truth and denouncing the crime. Because of that, the regime has been persecuting me and I lost my job. I was beaten up and humiliated for thinking differently than them, opposing their crimes and lies and denouncing the violations of human rights in my country. 3) What is the Cuban Liberal Movement and what principles it is based on? The Cuban Liberal Movement is a peaceful dissident movement defending human rights. It was founded in 2002. Its principles are based on the ideals promoted by John Locke and other liberal thinkers. One of our goals is to raise awareness about the liberals' Manifesto signed in Oxford in 1997 and the liberal agenda of the past century. Also, we denounce the persistent violation of the universal declaration of Human Rights by the Castro-communist tyranny that oppresses the Cuban people since 47 years. 4) Castro claims that health and education in Cuba are free. Is that true? What is your take on the so-called U.S. embargo? Health and education is not free. One has to pay to buy the primary goods that are very costly. The schoolchildren are forced to work in the mountains without getting paid. The embargo is an excuse Castro uses to justify the failure of his revolution. I am convinced that even without the embargo, the situation in Cuba would remain the same. 5) How does the Cuban people see the opposition on one side and the regime on the other? Part of the people support the opposition movements, just because they also suffer under the current regime. Day by day, the Cuban people is realizing the lies behind the Castroite propaganda. After the death of Castro, it will start the transition, but we'll have to help it, so to let people elect e truly-democratic president. 6) Which kind of political system do you prefer, if you do have one? We want a gov't that respects human rights; a system that allows people to freely elect their own rulers, that allows the free flow of opinions and the existance of political parties. A system whose rulers worry for the needs of the people and adopts a policy capable to help develop the country and get it out of the current misery we're living under. 7) Are you being persecuted for your opposition activity? Yes, I'm. Above all, we're often intercepted by the political police when we're on our way to the U.S. Interests Section in Havana. They wanna know what we see in the Internet, in order to better discredite us in front of the people. 8) Maximo, Thanks for allowing us this interview. God Bless you and all your comrades. We wish you the best in your sacred fight against tyranny. I thank you especially for giving me the opportunity to tell the world about the reality of Cuba's daily life. God Bless you. 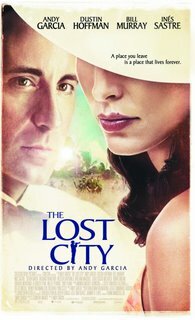 Finally got to see The Lost City directed by Andy Garcia. Words can not describe the emotions one feels while watching the movie. Where do I begin? I am going to be honest with you, I was not expecting much nor the reaction my wife and I had(tears)! I want to watch it again because I missed some scenes due to my emotions. The couple sitting next to us kept looking at us and wondering? I am not a film critic nor pretend to be one, but Andy Garcia did a wonderful job and has to be commended for all his efforts and persistence concerning the refusal of Hollywood to produce this movie. I hope this leads to more movies concerning the "real" happenings of the Cuban situation. 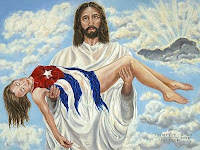 We need a movie concerning the heroes in the Escambray Mountains, a movie concerning all the political prisoners, a movie concerning the exile experience, and so many topics that have not been even touched! This gives me even more admiration for my parents and family on what they went through. Cuban exiles are given a bad rap by the media.The media and critics never saw the heartache, the pain inflicted by the absurdity of communism and the obvious attack on the family by the dictator. The critics never had to endure the pain while leaving your beloved country and getting on a airplane, the commie soldier telling you not to look back at your family or you will not be allowed to leave the country after rummaging through all your things. The critics have never had to endure the pain of family members being imprisoned or tortured simply on their beliefs! The critics have never had to endure some punk commie stealing the farm or property in the name of the revolution. The critics have never had to endure the pain of someone who you love dearly, for years watching every blip of news with a glimpse of hope waiting for the downfall of the dictator. I can see it in his eyes, though never spoken, I wish I could ease his pain and yearning for a FREE Cuba. The emotions of that person telling me with pride of his hometown and the fond memories and that he might not ever go back, but that I one day will go! How do you describe that to someone that does not comprehend the Cuban experience? The dignity and pride shown even with all the obstacles they faced is extraordinary and admirable. The dictator tried to destroy Cuba and the Cuban family, but he did not succeed! The bonds of family and our almighty God will never be defeated! So media and critics: The real heroes in my book are my parents and my family. The real heroes are those who have died yearning for a FREE Cuba. Excuse me while I wipe away a tears!!! "EL CARDENAL ORTEGA ALAMINO INJURIA A BISCET"
Me imagino que muchos de mis lectores se preguntarán que quiere decir y en que idioma está escrito el título de esta “Telaraña”. Pues bien, creí que era más correcto utilizar el latín, dado el tema que voy a tratar. Esas palabras significan: “Arribó con sigilo” y “Se fue aún con más sigilo”. Quizás esta traducción no está todo lo correcta que quisiera, pero se entiende. Me refiero a la sigilosa llegada a Los Ángeles de Su Eminencia, el cardenal Jaime Lucas Ortega Alamino, Arzobispo de La Habana, y su aún más sigilosa partida, después de haber celebrado el pasado domingo la anunciada misa en la Parroquia “La Sagrada Familia”, de la vecina ciudad de Glendale, a pesar de que en esa ceremonia religiosa se anunció que el próximo domingo 25 de junio iba a encabezar una nueva misa en otra parroquia del Condado. Hasta ahora, no se saben los verdaderos motivos de su misteriosa visita a esta ciudad y, menos aún, lo que provocó su inesperada partida sin haber celebrado la anunciada segunda misa. El que estas líneas escribe estuvo presente en la del domingo pasado, en la que –además de Su Eminencia- participaron diez sacerdotes más. Por lo tanto y sin entrar en conjeturas, voy a hacer una descripción de esa ceremonia y de lo que pasó después. Se había anunciado que después de terminada la misa, Su Eminencia iba a responder a las preguntas que le hicieran los feligreses. La ceremonia del domingo fue una misa como las que todos conocemos, en la que el sermón estuvo a cargo del invitado. El sermón de Su Eminencia fue exclusivamente dedicado a la materia religiosa y no dejó dudas que el cardenal es un magnífico orador sagrado, y si sus palabras fueron metafóricas yo, por lo menos, no les pude encontrar relación alguna con la tragedia de nuestra patria, que era lo que todos los cubanos allí reunidos esperaban. Quiero destacar que la mayoría de los fieles que asistieron a esta ceremonia no eran cubanos, sino mayormente centroamericanos, entre los que había un buen número de guardias de seguridad vestidos de paisano que sin ningún disimulo se “colaban” cerca de los grupos de cubanos que conversaban mientras se esperaba a que abrieran las puertas del templo, para escuchar lo que hablaban. Ya terminada la misa, uno de los sacerdotes que ayudaron en la ceremonia anunció al público que para las preguntas y respuestas tendrían que ir a un edificio aledaño, donde Su Eminencia contestaría las preguntas “siempre y cuando éstas fueran hechas de antemano y por escrito, para evitar la repetición de las preguntas”. Esto, por supuesto, “no me lo tragué” como tampoco se lo tragaron la mayoría de los cubanos asistentes. Comprendí, que el cardenal Ortega Alamino no estaba en disposición de contestar preguntas “embarazosas”, principalmente si éstas eran de raíces políticas y relativas a la situación de Cuba y de la conducta de la Iglesia Católica Cubana bajo la tiranía de Fidel Castro. Eso estaba bien claro, pues a nadie se le ocurriría hacer una pregunta que ya había sido hecha por otra persona, sin necesidad de papelitos para recordárselo. Eso fue una censura mal tramada, por lo tanto, y como era el Día de los Padres, decidí irme a compartir el resto del día con mis hijos, dado que estaba completamente seguro que las preguntas que yo hubiera escrito iban a ser desechadas por los gendarmes religiosos a cargo de la censura. Pasé unos minutos por el local, saludé a unos cuantos amigos y les dije que me iba porque ya a mi me quedaba muy poco pelo para que me lo tomaran. El Señor me iluminó, porque de quedarme me hubiera vomitado de asco públicamente. 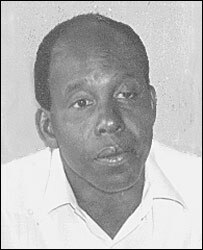 One of the very few blacks in the dictatorship was sentenced to 12 years in prison. the party leadership indicated that Robinson's fate should be an example, saying "in our country, no-one despite their responsibilities and merits can violate the law. He who does so will inexorably receive the weight of revolutionary justice." Do you think the dictator is above revolutionary justice? Who decides the verdict and the sentence, doesn't matter the proof! 47 years of the same B.S. and the world still does not want to know the truth. Enough already!!!!! Felix Wilson, Cuban Ambassador in the Bahamas, has an article in the Nassau Guardian. Now before we get into this, sit down before you hurt yourself! 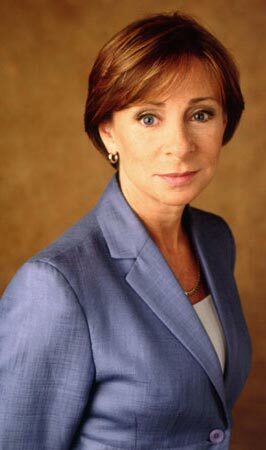 "Journalism should be about the truth, honesty, objectiveness, and non partisanship! Otherwise, some may think they are journalists. But they are not. And people who are not illiterate at the end of the road will make their own judgements. Nobody can believe that everything coming from a country, in this case Cuba, is bad as certain media in The Bahamas wants to make it. " Mr. Wilson do journalist have freedom in Cuba? What about Farinas? What about free access to the internet? "My country is not perfect and in fact, no country is, simply because all of them are run by human beings. There is only one country in the whole world whose government deems appropriate to criticise and impose on others their will, claiming to have the best society and to be an example to be followed by the rest of the world. That is the US Government - the one whose President was elected in 2000 after fraud and manipulations of the elections by a small number of members of the Cuban Miami Mafia, who rigged the electoral results and to whom President Bush owes many favours." Mr. Wilson was the dictator ever elected? Mafia? You commies have been in power for 47 years and virtually control everything in Cuba! Youse guys will love this! 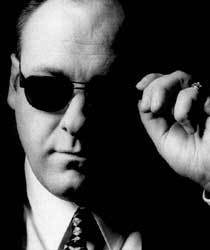 Yo Tony, I love youse in the Sopranos, but according to this article you have nothing on the dictator. Any type of dissent you are either whacked or put in prison and the don dictator controls every aspect of apartheid Cuba. What about those who are sleeping with the fishes trying to escape the island prison of Cuba? Yes, this sounds more like a classic mafia tale, so watch out Soprano's! How to help nominate Dr. Biscet for the Princes of Asturias Award for Concord. Dr. Oscar ElÃ­as Biscet GonzÃ¡lez was born of humble origin in Havana, Cuba on July 20, 1961. Dr. Biscet is the founder and president of the Lawton Foundation, an organization considered illegal by the Cuban government. The Lawton Foundation peacefully promotes the defense of all human rights through nonviolent civil disobedience. Dr. Biscet, is a follower of the Dalai Lama, Thoreau, Gandhi and Martin Luther King Jr. and wants to bring democracy and justice to Cuba. As head of the Lawton Foundation, a human rights group considered an illegal organization in Cuba, he was charged with "insulting symbols of the fatherland", "public disorder" and "instigation to commit crime". He is currently serving his sentence at the notorious "Cuba Si'' prison in Cubaâ€™s Holguin province, on the eastern side of island, making it extremely difficult for his family to visit him from Havana. Dr. Biscet has been beaten, repeatedly threatened, and humiliated, blackmailed, subjected to brutal interrogations and thrown into cells with insane convicts and common criminals. Dr. Biscet has continued his fight for justice from prison. He has staged protests against Cubaâ€™s violation of human rights at the prison with acts of civil disobedience, such as fasting and holding prayer services. 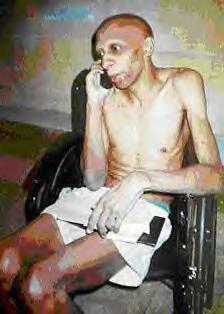 Consequently, he was punished by being locked up in solitary confinement for 42 days in an unlit cell. He has lost 20 pounds and suffered from a serious gum infection that went untreated and caused three of his molars to fall out. Here we go again with this commie group who use the front "humanitarian aid" to help the dictatorship of apartheid Cuba. I guess the commies have seen the success and the explosion of ant-dictator blogs, they have now started their very own caravan blog. Get me a barf bag! This group is very humanitarian so much so, that if you show up to the events holding a sign or you simply refute them, they will send two thugs with sticks after you! 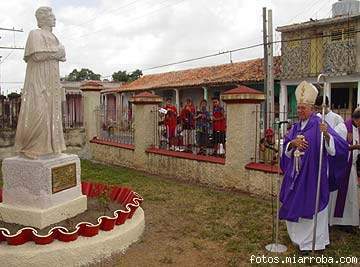 "Develada estatua del Padre Varela en los jardínes de Pinar Rio"
Click here for the article from Cuba Catolica. 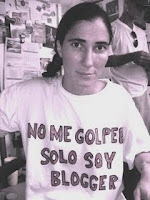 Martha Colmenares blog has this video concerning the atrocities of the dictator and her commentary. Another must see video courtesy of Ya No Mas! 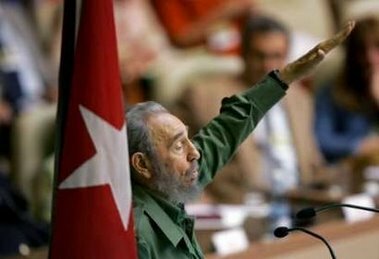 The dictator's brother stated that the" Communist Party will remain in control of Cuba if there is a leadership change." The dictator must have one foot in the grave due to Raul's sudden speeches and hollywood appearances. Communism will probably remain, but one thing for sure will change: the interior decoration, the floral arrangements, and the color schemes! 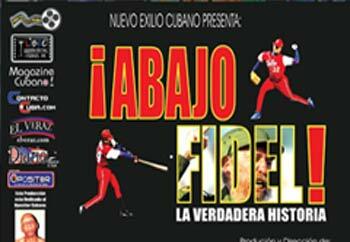 DOWN WITH CASTRO/CHAVEZ/ EVO....ABAJO FIDEL blog has this historical documentary. Click here for the video premiere. The nerve of "Tricky Ricky"
"Those reports are fairly exaggerated," said Speaker Ricardo Alarcon, saying those who were imprisoned were agents of the United States. Fidel Castro' 80, suffered from a disease such as Alzheimer's or Parkinson's. Commies never really want to be challenged or really debated because they will be defeated every time. They always silence the opposition by force and intimidation. To bad they won't let the FREEDOM Fighters to my right ask "Tricky Ricky" real questions!!! The continuing saga of who cut the electricity? Funny thing though, we all know who restored the electricity down in Cuber. Do we need to get Inspector Clouseau involved? Here is something out of the WTF department: Cuba cut the electricity to the U.S.diplomatic mission in Cuba on June 5th. In the mean time apartheid Cuba declared that the blackouts have now come to an end. I am sure that the people of Cuba really believe this? Now they need to work on that Freedom thing and the political prisoners thingy! To my family and friends in Florida: take cover! Let's pray that this storm will not do much damage! Fasting chain in Cuba and in the U.S. Currently there is a fasting chain in Cuba to show support for Guillermo Fariñas Hernández. El Cafe Cubano and Blog for Cuba started a fasting chain here in the U.S. in support of this brave FREEDOM fighter. My freedom loving brethren please show solidarity and do something!!! Hasta el momento suman 47 los ayunantes permanentes. En un ayuno de 12 horas, en Santa Clara, Villa Clara, están: Roberto Carlos Pérez García y Niurvis Díaz Ramón, en calle G No.18 entre Fábrica de Pienso e ICP, Reparto Sub Planta; Bernardo Luís Azcanio, Léster Fernández Zamora, Frank López Rey en General Marino 331 A entre Campos y Circunvalación, Reparto Virginia. En Caibarién, Villa Clara, ayunan por 24 horas: Rolando Pastor Cabello Garman, Avenida 5 entre 10 y 11, Marlene Broche Espinosa, calle 22 No.3104 entre 31 y 33; Javier Delgado Torna, en Ave, 41 entre 14 y 16 Bloque 2 apto, C-6; Felicia Espinosa Rodríguez de 74 años, en Ave. 39 No. 1603 entre 16 y 18; Raúl Pérez Gavilán Ave. 31 No.10 interior entre 12 y 14; Ramón Norberto Martínez Ruiz, Ave. 15 No.1417 entre 14 y 16; Carlos Michael Martí Ruiz Calle 18 No.2502 entrc25 y 27. Arniel Morrabales Torres, Juan Alberto de la Nuez Ramírez, por espacio de 10 horas; así como Gerardo Rogelio Arévalo Padrón y Pablo Maciel Calvo Rodríguez, por 24 horas; todos en la calle H Hernández No.21 entre Martí y Maceo, Aguada de Pasajeros, Cienfuegos. Ayunando por 24 horas están: Idael Pérez Díaz, Santa González, Luis Esteban Espinosa, Tania Maceda Guerra, en Honorato del Castillo No. 154 entre República y Cuba, en Ciego de Ávila. La señora Virgen Sánchez Acosta de 70 años, Orlando Ferreira Salas de 68 años, Antonio Ferreira Salas de 74 años, Bárbaro Pérez Urgüey, Emilia Fundicheli Sánchez Consuelo Araís Hernández Sánchez, realizando un ayuno de 12 horas en Luis Palomares No.19 entre Gómez y Ebra, en Antillas, Holguín. Alberto Martínez Fernández, preso político, efectuando un ayuno de 24 horas, en la prisión de Combinado de Guantánamo. Por 72 horas, lo hacen los también presos políticos: Virgilio Mantilla Arango y Conrado Galindo Fariól, en la prisión de Kilo 8 en Camagüey. La Asamblea para Promover la Sociedad Civil quiere explicar que el día 7 de junio, no se pudo informar de esta cadena de ayuno, ya que la casa de su coordinadora Idania Yanez Contreras, estuvo sitiada –por espacio de 8 horas- por las Brigadas de Respuesta Rápida, y le fue interrumpido el teléfono. 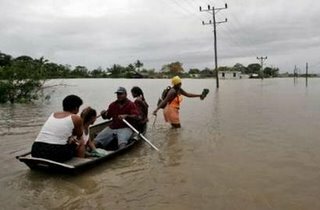 The first tropical depression of the season dropped heavy rain in Cuba. I guess the dictator could not move or will the depression away this time. Here we have the dictator of Apartheid Cuba paying homage to his master. "Peligro de muerte y secuelas por atención médica deficiente"
La joven de 27 años, Yordanka Abat Paz, perdió su embarazo deseado, estuvo en peligro de muerte y presenta daños permanentes en su organismo, como resultado del proceder inadecuado e irresponsable que sufrió en el hospital, de manos de los médicos que la asistieron al buscar ayuda profesional por presentar un cuadro de hiperemesis gravídica. En el año 2004, la Sra. Abat fue ingresada en el Hospital Materno ¨Hijas de Galicia¨, en la ciudad de la Habana, con diagnóstico de Hiperemesis Gravídica (vómitos provocados por el embarazo) y gestación de nueve semanas. Le indicaron el tratamiento usual: hidratación por venoclisis y medicamentos parenterales (vía sanguínea) que atenúan los efectos de las hormonas causales de los vómitos. Pasada una semana, al no evidenciarse ninguna mejoría en su estado de salud, con intolerancia gástrica hasta para la asimilación por vía oral de las soluciones líquidas, los ginecólogos decidieron interrumpir la gestación mediante legrado uterino. A pesar del legrado los síntomas persistieron, lo que determinó la realización de un análisis sanguíneo de gonadotropina coriónica, cuya cifra indicó una concentración propia de embarazo. Para corroborar el resultado le hicieron un ultrasonido transvaginal donde no se visualizó la referida gestación. Los especialistas concluyeron en su valoración médica que la paciente presentaba un embarazo extrauterino y, por tanto, la sometieron a una intervención quirúrgica de urgencia. Días después de la cirugía Abat Paz fue dada de alta hospitalaria por la favorable evolución que tuvo, pero antes los doctores le explicaron que la sometieron a operación sin necesidad, pues se confirmó en el salón que no tenía ningún embarazo fuera del útero. La Sra. Paz fue ingresada nuevamente en ¨Hijas de Galicia¨ a los tres días de estar en su casa, aquejada de malestar general, fiebre de 39 – 40 grados celsius, dolor bajo vientre, taquicardia y secreción vaginal. Luego de una semana de tratamiento con antibióticos de amplio espectro, por medio del examen vaginal los médicos determinaron que mantenía en la cavidad uterina restos del legrado que le habían practicado anteriormente y, por ello, ordenaron llevarla otra vez al salón para volverla a legrar. Cuando Yordanka se recuperó de la anestesia fue informada que a consecuencia de la septicemia (infección generalizada) encontraron un marcado deterioro en los órganos de su aparato ginecológico, lo que los obligó a extirparle el útero, las trompas y los ovarios, como medida extrema para evitar peores complicaciones. La paciente fue trasladada para la sala de cuidados intensivos del Hospital Clínico Quirúrgico ¨Díez de Octubre¨ reportada de muy grave, donde cuatro días más tarde le diagnosticaron una oclusión intestinal y, acto seguido, la sometieron a otra intervención quirúrgica de urgencia. Cuando por fortuna, al cabo de dos meses, logró salir con vida y abandonar el hospital la remitieron para la consulta de patología de cuello del Materno ¨Hijas de Galicía¨, allí el doctor que la examinó le aseguró que no era necesario mantener un seguimiento, que podía vivir una vida plena con la única limitante de que no podría tener más hijos. En la actualidad, debido a la menopausia post-quirúrgica Yordanka padece de frecuentes crisis de artrosis por la falta de calcio en su organismo, además, presenta dispareunia (dolor al tener relaciones sexuales), infección vaginal a repetición, oleadas de calor e irritación nerviosa, con la agravante de no contar con atención médica adecuada. El Dr. Jacinto, jefe del programa materno-infantil del mencionado Materno, fue el encargado de darle respuesta a la queja emitida por Yordanka Abat ante las autoridades de salud. El galeno reconoció que hubo errores de parte de los médicos que la atendieron, pero le pidió que valorara que, como otros seres humanos, esos profesionales están a expensas de equivocarse y, además, le hizo énfasis en que tomara en cuenta que debía agradecer todos los servicios que la revolución había puesto de modo gratuito en función de restablecerle la salud, según sus palabras, "generosidad del estado que no la tendría en ningún otro país". La legislación jurídica vigente en Cuba no contempla la indemnización por el estado de los daños producidos a pacientes en los casos de negligencias médicas. Las personas que resultan víctimas de ese tipo de situaciones, como en el caso descrito, solo tienen por opción resignarse ante lo sucedido. 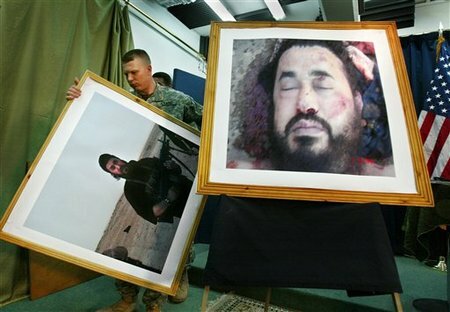 The terrorist responsible for beheadings and suicide bombings is gone courtesy of 500 pound bombs. For more pictures click here and here. A prayer vigil is being held in Cuba for the life of Guillermo Farinas. Still the world is silent for Farinas, and for those who stand up against the dictator. Please pray for Mr. Farinas and please join the fasting chain! Thanks Alex for the tip!!! The current issue of Hamas Weekly has a cartoon of a palestinian kid urinating on our beloved Lady Liberty. Can't make fun of them, but they sure can do whatever they want! All we hear about in the media is how Mini-me is preparing for the U.S. invasion, but look here it seems that the oil pimp has his eye on invading Colombia? News out of Cuba is that Mr. Hernandez could die at any moment . Support this FREEDOM fighter. The media is basically ignoring his struggle and his quest for Free access to the internet. Sadly, most journalist are not aware of this or they are ignoring him on purpose. Now is no time for apathy, join me my FREEDOM loving brethren to spread the word and blitz the media about his condition and his cause! I am also calling again for a FAST, but with a twist this time. It's up to you and God what you want to do and level you want to take it. I propose we set up a FASTING chain and spread the news to the media. The chain would be clear and simple, just leave your name and city or state(and comments if you like) in the comments section in support of Mr. Farinas. Believe me he knew last time we were fasting and in Cuba they set up their own fast to show support. C’mon my brethren stand up, do something and let’s help our brother in need! Ziva at Blog for Cuba also has a post concerning Farinas. Please join us in support of Guillermo Fariñas Hernández before it's to late.